From the editors: With the holiday season coming upon us, there has been some controversy regarding the phrase “Merry Christmas”. President Trump recently made a statement about the use of “Happy Holidays” instead of “Merry Christmas”, claiming that “We are stopping cold, the attacks on Judaeo-Christian values.” We asked you all to share your opinions, and we received some very thoughtful replies. Responses have only been edited for spelling or grammatical issues, and we have compiled them in the order in which they were received. I don’t generally prefer to share my political views; however, this topic seems reasonable to comment on. Trump referred to the term ‘Christmas’ itself as being considered politically incorrect, which is not the case. “Merry Christmas” may however be considered politically incorrect when addressing groups of individuals who have different beliefs and holiday celebrations. As someone who practices the Christian religion and celebrates Christmas, I believe that the traditional “Merry Christmas” displayed in public locations was rightfully changed to “Happy Holidays”. While Trump considers this an attack on Judeo-Christian values, I see it as an inclusive statement that regards all members of our country under the “freedom of religion” section of the first amendment. I believe that it is reasonable and just to tell individuals “Happy (insert corresponding winter holiday)” even if your beliefs differ from theirs. 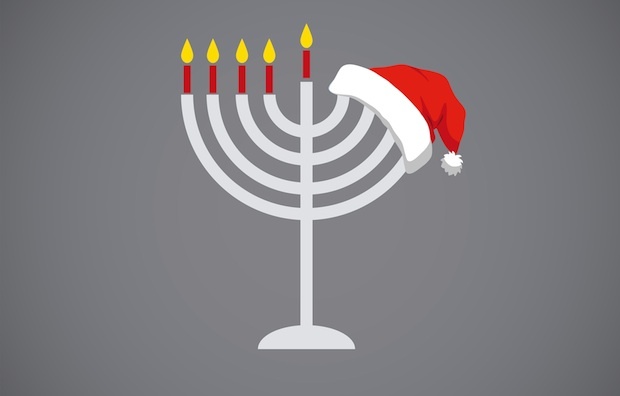 This wishes upon individuals a joyous time of celebration, so saying “Merry Christmas” instead of “Happy Hanukkah”, for example, to someone who celebrates the latter, is insensitive and a legitimate attack on beliefs. The notion that an inclusive “Happy Holidays”, which obviously includes Christmas, is an attack rather than an attempt to unite people of different beliefs is absurd. Nobody is attacking Christians. Trump, and a lot of mainstream Republicans, like to play the victim as much as the college liberals they so often attack. Saying ‘happy holidays’ is a warm greeting and a wish of good will, the same as ‘merry Christmas’. I was raised vehemently Christian and have since moved away from religion, so I’ve seen both sides of this argument. Never once have I thought that someone saying ‘happy holidays’ was an attack on my religion, on my community, or my identity. Anyone offended by an atheist responding to ‘merry Christmas’ with ‘happy holidays’ is looking for an argument and attempting to play the victim. No reasonable person is offended by ‘happy holidays’, not even the most devout Christian. Reasonable Christians (reasonable people, for that matter) recognize that not everyone you meet will hold the same beliefs you do, but will acknowledge that any response made with good will and good intent holds the same merit as ‘merry Christmas’. Besides that, Christmas is arguably not a solely Christian holiday, despite the name. Its roots are extremely similar to Roman, Nordic, Pagan, etc. winter holidays and presently seems to be more of a marketing tactic than a religious celebration. It’s not the only holiday by any means, just the most popular. If I were still Christian, I would honestly be more offended by an atheist saying ‘merry Christmas’ if they didn’t mean it and were just trying to appease me. I’d be more offended by the commercialization of Christmas rather than what it’s called. I’d be more offended by many, many other things other than how strangers of unknown backgrounds greet me with good will. If you’re a Christian who gets upset over this, look at yourself from another perspective for a minute. Look at other people’s intentions and remove your victim complex. The world is a much happier place when you’re not always looking to be offended. And that’s a main facet of any holiday- happiness and joy! Start acting like it.